Get a flavour of the hustle and bustle of Whitby’s busy port through our Live Webcam. Fusco’s Whitby Webcam – for a live view of the harbour from Quayside. The webcam changes position approximately every 10 seconds to give you a fascinating tour: a general view of the harbour including the Abbey and St. Mary’s church, the Swingbridge, the Lifeboat, the 199 steps and the Piers. 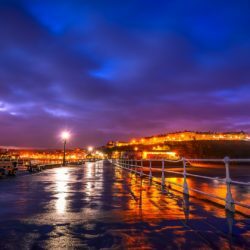 With its own coastal microclimate, Whitby’s weather often defies the Met Office by being better than predicted. Take a look for yourself. The Fusco Family have been making great fish and chips for three generations in Whitby. Watch this fascinating video to find out how they intend to ensure this tradition carries on for generations to come. Have a look at this lovely video for wonderful scenery of this idyllic area, not to mention some great places to see along the way! Check out the upcoming events in Whitby. 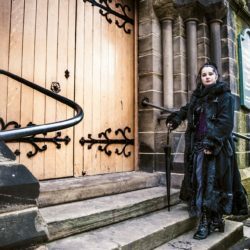 Whitby Goth Weekend has something for everyone with an interest in goth and all things alternative. It’s a celebration of non-conformity, diversity and freedom of expression. Click here for details. 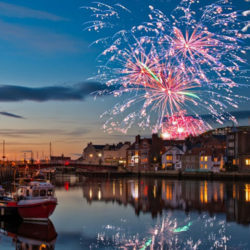 The Fish and Ships Festival will begin on the 18th May 2019 and will start with a launch weekend followed by a week long promotion of Whitby’s seafood and fishing heritage. 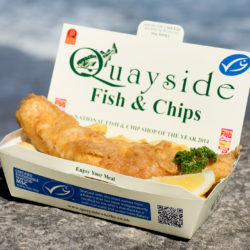 Here at Quayside, we will be celebrating the National Fish and Chip Day in the restaurant in support of NEODA, our chosen charity, The Fishermen’s Mission and our industry. 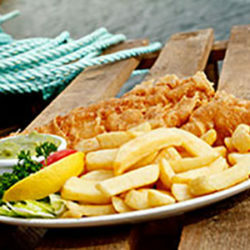 Visit www.neoda.org.uk/fishandchipday for further information. 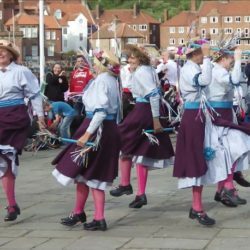 If you are a fan of sixties music there’s nowhere better than WHITBY LIVE Music Shows & Festival on North Yorkshires magnificent east coast. 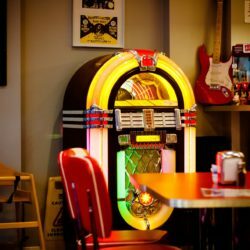 7th – 9th June 2019 Click here for details. 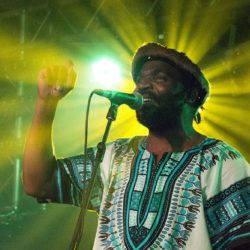 The ORIGINAL Yorkshire Soul Weekender Experience in the beautiful town of Whitby. Click here for details. Picture by Stephen Cordery licensed under creative commons. Seafood Week is a nationally organised week to celebrate all things fish and seafood. It’s a great opportunity to try something new. This years Seafood Week from run between 7th-11th October 2019. Keep an eye out on our facebook page for all the details! 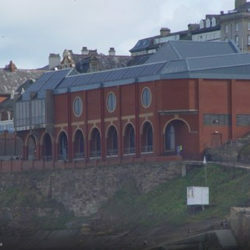 Musicport was established in 2000 to promote live music and music education in Whitby and the surrounding area with its primary event being Musicport World Music Festival each autumn.